This User Manual is the primary guide to the handling and basic techniques of epoxy use. It describes how to dispense, mix and modify WEST SYSTEM epoxy for the basic coating, filling and bonding techniques used in most repair and construction procedures. These procedures are described in detail in WEST SYSTEM instructional publications and videos. 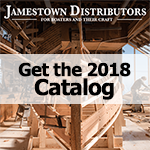 For complete descriptions of all WEST SYSTEM products, including selection and coverage guides, go to the Product Guide. Mixing epoxy resin and hardener begins a chemical reaction that transforms the combined liquid ingredients to a solid. The time it takes for this transformation is the cure time. As it cures, the epoxy passes from the liquid state, through a gel state, before it reaches a solid state (Figure 1). As it cures, mixed epoxy passes from a liquid state, through a gel state, to a solid state. Because the mixture is only partially cured, a new application of epoxy will still chemically link with it, so the surface may still be bonded to or recoated without special preparation. However, this ability diminishes as the mixture approaches final cure. There are epoxy-based products specifically designed to penetrate and reinforce rotted wood. These products, basically an epoxy thinned with solvents, do a good job of penetrating wood. But the solvents compromise the strength and moisture barrier properties of the epoxy. WEST SYSTEM epoxy can be thinned with solvents for greater penetration, but not without the same compromises in strength and moisture resistance. Acetone, toluene or MEK have been used to thin WEST SYSTEM epoxy and duplicate these penetrating epoxies with about the same effectiveness. If you chose to thin the epoxy, keep in mind that the strength and moisture protection of the epoxy are lost in proportion to the amount of solvent added. There is a better solution to get good penetration without losing strength or moisture resistance. We recommend moderate heating of the repair area and the epoxy with a heat gun or heat lamp. The epoxy will have a lower viscosity and penetrate more deeply when it is warmed and contacts the warmed wood cavities and pores. Although the working life of the epoxy will be considerable shortened, slower hardeners (206, 207, 209) will have a longer working life and should penetrate more than 205 Hardener before they begin to gel. When the epoxy cures it will retain all of its strength and effectiveness as a moisture barrier, which we feel more than offsets any advantages gained by adding solvents to the epoxy. Removing uncured or non-curing epoxy. Uncured epoxy is removed as you would spilled resin. Scrape as much material as you can from the surface using a stiff metal or plastic scraper-warm the epoxy to lower its viscosity. Clean the residue with lacquer thinner, acetone, or alcohol. Follow safety warnings on solvents, and provide adequate ventilation. After recoating wood surfaces with epoxy, it's a good idea to brush the wet epoxy (in the direction of the grain) with a wire brush to improve adhesion. Allow solvents to dry before recoating. Removing fiberglass cloth applied with epoxy. Use a heat gun to heat and soften the epoxy. Start in a small area a near a corner or edge. Apply heat until you can slip a putty knife or chisel under the cloth (about 200°F). Grab the edge with a pair of pliers and pull up on the cloth while heating just ahead of the separation. On large areas, use a utility knife to score the glass and remove in narrower strips. Resulting surface texture may be coated or remaining epoxy may be removed as follows. The following basic techniques are common to most repair or building projects, regardless of the type of structure or material you are working with. Whether you are bonding, fairing or applying fabrics, the success of the application depends not only on the strength of the epoxy, but also on how well the epoxy adheres to the surface to which it is being applied. Unless you are bonding to partially cured epoxy, the strength of the bond relies on the epoxy's ability to mechanically "key" into the surface. That is why the following three steps of surface preparation are a critical part of any secondary bonding operation. Cured epoxy-Amine blush can appear as a wax-like film on cured epoxy surfaces. It is a by-product of the curing process and may be more noticeable in cool, moist conditions. Amine blush can clog sandpaper and inhibit subsequent bonding, but it can easily be removed. It's a good idea to assume it has formed on any cured epoxy surface. To remove the blush, wash the surface with clean water (not solvent) and an abrasive pad, such as Scotch-brite(TM) 7447 General Purpose Hand Pads. Dry the surface with paper towels to remove the dissolved blush before it dries on the surface. Sand any remaining glossy areas with 80-grit sandpaper. Wet-sanding will also remove the amine blush. If a release fabric is applied over the surface of fresh epoxy, amine blush will be removed when the release fabric is peeled from the cured epoxy and no additional sanding is required. Teak/oily woods-Wipe with acetone 15 minutes before coating. Solvent removes the oil at the surface and allows epoxy to penetrate. Be sure solvent has evaporated before coating. Porous woods-No special preparation needed. If surface is burnished, possibly by dull planer or saw blades, sand with 80-grit paper to open pores. Remove dust. Steel, lead-Remove contamination, sand or grind to bright metal, coat with epoxy then sand fresh epoxy into surface. Re-coat or bond after first coat gels. Plastic-Adhesion varies. If a plastic is impervious to solvents such as acetone, epoxy generally will not bond to it. Soft, flexible plastics such as polyethylene, polypropylene, nylon, Plexiglas and polycarbonate fall into this category. Hard, rigid plastics such as PVC, ABS and styrene provide better adhesion with good surface preparation and adequate bonding area. After sanding, flame oxidizing (by quickly passing propane torch over the surface without melting the plastic) can improve bonding in some plastics. It's a good idea to conduct an adhesion test on a plastic that you are uncertain about. This section refers to two types of bonding. Two-step bonding is the preferred method for most situations because it promotes maximum epoxy penetration into the bonding surface and prevents resin-starved joints. Single-step bonding can be used when joints have minimal loads and excess absorption into porous surfaces is not a problem. In both cases, epoxy bonds best when it is worked into the surface with a roller or brush. 1. Wet-out bonding surfaces-Apply a neat resin/hardener mixture (without fillers) to the surfaces to be joined (Figure 9). Wet out small or tight areas with a disposable brush. Wet out larger areas with a foam roller or by spreading the resin/hardener mixture evenly over the surface with a plastic spreader. You may proceed with step two immediately or any time before the wet-out coat reaches the final cure stage. 2. Apply thickened epoxy to one bonding surface. Modify the resin/hardener mixture by stirring in the appropriate filler until it becomes thick enough to bridge any gaps between the mating surfaces and to prevent "resin-starved" joints. Apply enough of the mixture to one of the surfaces, so that a small amount will squeeze out when the surfaces are joined together with a force equivalent to a firm hand grip (Figure 10). Thickened epoxy can be applied immediately over the wet-out surface or any time before the wet-out reaches its final cure. For most small bonding operations, add the filler to the resin/hardener mixture remaining in the batch that was used for the wet-out. Mix enough resin/hardener for both steps. Add the filler quickly after the surface is wet out and allow for a shorter working life of the mixture. 3. Clamp components. Attach clamps as necessary to hold the components in place. Use just enough clamping pressure to squeeze a small amount of the epoxy mixture from the joint, indicating that the epoxy is making good contact with both mating surfaces (Figure 11). Avoid using too much clamping pressure, which can squeeze all of the epoxy mixture out of the joint. 4. Remove or shape excess adhesive that squeezes out of the joint as soon as the joint is secured with clamps. A wooden mixing stick with one end sanded to a chisel edge is an ideal tool for removing the excess (Figure 12). Single-step bonding is applying the thickened epoxy directly to both bonding surfaces without first wetting out the surfaces with neat resin/hardener. We recommend that you thicken the epoxy no more than is necessary to bridge gaps in the joint (the thinner the mixture, the more it can penetrate the surface) and that you do not use this method for highly-loaded joints or for bonding end grain or other porous surfaces. The term "laminating" refers to the process of bonding numbers of relatively thin layers, like plywood, veneers, fabrics or core material to create a composite. A composite may be any number of layers of the same material or combinations of different materials. Methods of epoxy application and clamping will differ depending on what you are laminating. Because of large surface areas and limitations of wet lay-up time, roller application is the most common method for applying epoxy. A faster method for large surfaces is to simply pour the resin/hardener mixture onto the middle of the panel and spread the mixture evenly over the surface with a plastic spreader. Apply thickened mixtures with an 809 Notched Spreader. Using staples or screws is the most common method of clamping when you laminate a solid material to a solid substrate. An even distribution of weights will work when you are laminating a solid material to a base that will not hold staples or screws, such as a foam or honeycomb core material. Vacuum bagging is the ideal clamping method for laminating a wide range of materials. Through the use of a vacuum pump and plastic sheeting, the atmosphere is used to apply perfectly even clamping pressure over all areas of a panel regardless of the size, shape or number of layers. Primary bonding relies on the chemical linking of adhesive layers such as the wet lay-up of fiberglass laminate in a mold. All the layers of adhesive cure together in a single fused layer. Epoxy applied over partially cured epoxy will chemically link with it and is a primary bond. The ability to chemically link diminishes as the epoxy cures and it becomes a secondary bond. Secondary bonding relies on the mechanical linking of an adhesive to a material or cured epoxy surface. The adhesive must "key" into pores or scratches in the surface-a microscopic version of a dovetail joint. Proper surface preparation provides a texture that will help lock the cured epoxy to the surface. Any method of clamping is suitable as long as the parts to be joined are held so that movement will not occur. Common methods include spring clamps, "C" clamps and adjustable bar clamps, heavy rubber bands cut from inner tubes, nylon-reinforced packaging tape, applying weights, and vacuum bagging. When placing clamps near epoxy-covered areas, cover clamp pads with duct tape, or use polyethylene sheeting or release fabric under the clamps so they don't inadvertently bond to the surface. Staples, nails or drywall screws are often used where conventional clamps will not work. Any fasteners left in should be of a non-corroding alloy such as bronze. In some cases the thickened epoxy or gravity will hold parts in position without clamps. A fillet (fil'it) is a cove-shaped application of thickened epoxy that bridges an inside corner joint. It is excellent for bonding parts because it increases the surface area of the bond and serves as a structural brace. All joints that will be covered with fiberglass cloth will require a fillet to support the cloth at the inside corner of the joint. The procedure for bonding with fillets is the same as normal bonding except that instead of removing the squeezed-out thickened epoxy after the components are clamped in position, you shape it into a fillet. For larger fillets, add thickened mixture to the joint as soon as the bonding operation is complete, before the bonding mixture is fully cured, or any time after the final cure and sanding of exposed epoxy in the fillet area. 2. Shape and smooth the squeezed-out thick epoxy into a fillet by drawing a rounded filleting tool (mixing stick) along the joint, dragging excess material ahead of the tool and leaving a smooth cove-shaped fillet bordered on each side by a clean margin. Some excess filleting material will remain outside of the margin (Figure 13). Use the excess material to re-fill any voids. Smooth the fillet until you are satisfied with its appearance. A mixing stick will leave a fillet with about a 3/8" radius. For larger fillets, an 808 Plastic Squeegee, cut to shape or bent to the desired radius, works well. Apply additional thickened epoxy to fill voids or make larger fillets. Apply the mixture along the joint line with the rounded mixing stick, using enough mixture to create the desired size of fillet. For longer or multiple fillets, empty caulking gun cartridges or disposable cake decorating bags can be used. Cut the plastic tip to lay a bead of thickened epoxy large enough for the desired fillet size. Heavy duty, sealable food storage bags with one corner cut off may also be used. 3. Clean up the remaining excess material outside of the margin by using a sharpened mixing stick or a putty knife (Figure 14). Fiberglass cloth or tape may be applied over the fillet area before the fillet has cured (or after the fillet is cured and sanded). Fairing refers to the filling and shaping of low areas so they blend with the surrounding surfaces and appear "fair" to the eye and touch. After major structural assembly has been completed, final fairing can be easily accomplished with WEST SYSTEM epoxy and low-density fillers. 1. Prepare the surface as you would for bonding. Sand smooth any bumps or ridges on the surface and remove all dust from the area to be faired. 2. Wet out porous surfaces with unthickened epoxy (Figure 21). 3. Mix resin/hardener and 407 Low-Density or 410 Microlight(TM) filler to a peanut butter consistency. The thicker the mixture, the easier it will be to sand when cured. 4. Trowel on the thickened epoxy mixture with a plastic squeegee, working it into all voids and depressions. Smooth the mixture to the desired shape, leaving the mixture slightly higher than the surrounding area (Figure 22). Remove any excess thickened epoxy before it cures. If the voids you are filling are over 1/2" deep, apply the mixture in several applications or use 206 Slow Hardener or 209 Tropical Hardener, depending on ambient temperature. Note: On vertical and overhead surfaces, allow the wet-out coat to gel before applying fairing compound. The fairing compound may sag or slide off the fresh wet-out coat. Apply the fairing compound while the wet-out is still in the gel stage. 6. Sand the fairing material to blend with the surrounding contour (Figure 23). Begin with 50-grit sandpaper if you have a lot of fairing material to remove. Use 80-grit paper on the appropriate sanding block when you are close to the final contour. CAUTION! Don't forget your dust mask. Remove the sanding dust and fill any remaining voids following the same procedure. Fiberglass cloth is applied to surfaces to provide reinforcement and/or abrasion resistance, or in the case of Douglas Fir plywood, to prevent grain checking. It is usually applied after fairing and shaping are completed, and before the final coating operation. It is also applied in multiple layers (laminated) and in combination with other materials to build composite parts. Fiberglass cloth may be applied to surfaces by either of two methods. The "dry" method refers to applying the cloth over a dry surface. The "wet" method refers to applying the cloth to an epoxy-coated surface often after the wet-out coat becomes tacky, which helps it cling to vertical or overhead surfaces. Since this method makes it more difficult to position the cloth, the dry method is the preferred method especially with thinner cloth. 1. Prepare the surface as you would for bonding. 5. Spread the epoxy over the cloth surface with a plastic spreader, working the epoxy gently from the pool into the dry areas (Figure 24). Use a foam roller or brush to wet out fabric on vertical surfaces. Properly wet out fabric is transparent. White areas indicate dry fabric. If you are applying the cloth over a porous surface, be sure to leave enough epoxy to be absorbed by both the cloth and the surface below it. Try to limit the amount of squeegeeing you do. The more you "work" the wet surface, the more minute air bubbles are placed in suspension in the epoxy. This is especially important if you plan to use a clear finish. You may use a roller or brush to apply epoxy to horizontal as well as vertical surfaces. Smooth wrinkles and position the cloth as you work your way to the edges. Check for dry areas (especially over porous surfaces) and re-wet them as necessary before proceeding to the next step. If you have to cut a pleat or notch in the cloth to lay it flat on a compound curve or corner, make the cut with a pair of sharp scissors and overlap the edges for now. 6. Squeegee away excess epoxy before the first batch begins to gel (Figure 25). Slowly drag the squeegee over the fabric at a low, almost flat, angle, using even-pressured, overlapping strokes. Use enough pressure to remove excess epoxy that would allow the cloth to float off the surface, but not enough pressure to create dry spots. Excess epoxy appears as a shiny area, while a properly wet-out surface appears evenly transparent, with a smooth, cloth texture. Later coats of epoxy will fill the weave of the cloth. Place a metal straightedge on top of and midway between the two overlapped edges. b) Cut through both layers of cloth with a sharp utility knife. c) Remove the top-most trimming and then lift the opposite cut edge to remove the overlapped trimming (Figure 28). d) Re-wet the underside of the raised edge with epoxy and smooth into place. 8. Coat the surface to fill the weave before the wet-out reaches its final cure stage (Figure 29). Follow the procedures for final coating in the next section. It will take two or three coats to completely fill the weave of the cloth and to allow for a final sanding that will not affect the cloth. An alternative is to apply the fabric or tape to a surface coated with wet epoxy. As mentioned, this is not the preferred method, especially with large pieces of cloth, because of the difficulty removing wrinkles or adjusting the position of the cloth as it is being wet out. However, you may come across situations when this method may be useful or necessary. 1. Prepare the surface for bonding. Pre-fit and trim the cloth to size. Roll the cloth neatly so that it may be conveniently rolled back into position later. 3. Unroll the glass cloth over the wet epoxy and position it. Surface tension will hold most cloth in position. If you are applying the cloth vertically or overhead, you may want to thicken the epoxy slightly with filler, then wait until it becomes sticky. Work out wrinkles by lifting the edge of the cloth and smoothing from the center with your gloved hand or a squeegee. 5. Remove the excess epoxy with a squeegee, using long overlapping strokes. The cloth should appear consistently transparent with a smooth cloth texture. Any remaining irregularities or transitions between cloth and substrate can be faired by using an epoxy/filler fairing compound if the surface is to be painted. Any additional fairing done after the final coating should receive several additional coats over the faired area. Note: A third alternative for more experienced users is a variation of both methods. Apply the fabric after a wet out coat has reached an initial cure. Follow the first three steps of the Wet Method, but wait until the epoxy cures dry to the touch before positioning the fabric and continuing with Step 3 of the Dry Method. Apply the fabric before the first coat reaches its final cure phase. (stripper canoes, etc.) An alternative wet out method is to lay the epoxy onto the fabric with a short-bristled bush. Dip the brush in the epoxy and lay the epoxy on the surface with a light even stroke. Don't force the epoxy into the cloth, which may trap air in the fabric and show through the clear finish. Apply enough epoxy to saturate the fabric and the wood below. After several minutes, lay on additional epoxy to dry (white) areas. If epoxy appears milky due to high humidity or over-working, warm the surface by passing a heat gun or hair dryer over the surface. Use low heat to avoid out-gassing. Be sure to use 207 Hardener for clear finishes. The object of barrier coating is to build up an epoxy coating that provides an effective moisture barrier and a smooth base for final finishing. Apply a minimum of two coats of WEST SYSTEM epoxy for an effective moisture barrier. Apply three coats if sanding is to be done. Moisture protection will increase with additional coats, up to six coats or about a 20-mil thickness. Additives or pigments should not be added to the first coat. Mixing thinners with WEST SYSTEM epoxy is not recommended. Disposable, thin urethane foam rollers, such as WEST SYSTEM 800 Roller Covers, allow you greater control over film thickness, are less likely to cause the epoxy to exotherm and leave less stipple than thicker roller covers. Cut the covers into narrower widths to reach difficult areas or for long narrow surfaces like stringers. Complete all fairing and cloth application before beginning the final coating. Allow the temperature of porous surfaces to stabilize before coating. Otherwise, as the material warms up, air within the porous material may expand and pass from the material (out-gassing) through the coating and leave bubbles in the cured coating. 1. Prepare the surface for bonding. 2. Mix only as much resin/hardener as you can apply during the open time of the mixture. Pour the mixture into a roller pan as soon as it is mixed thoroughly. 3. Load the roller with a moderate amount of the epoxy mixture. Roll the excess out on the ramp part of the roller pan to get a uniform coating on the roller. 4. Roll lightly and randomly over an area approximately 2 ft x 2 ft to transfer the epoxy evenly over the area (Figure 30). 5. As the roller dries out, increase pressure enough to spread the epoxy into a thin even film. Increase the coverage area if necessary to spread the film more thinly and evenly. The thinner the film, the easier it is to keep it even and avoid runs or sags in each coat. 6. Finish the area with long, light, even strokes to reduce roller marks. Overlap the previously coated area to blend both areas together. 7. Coat as many of these small working areas as you can with each batch. If a batch begins to thicken before it can be applied, discard it and mix a fresh, smaller batch. 8. Tip off the coating by dragging a foam roller brush lightly over the fresh epoxy in long, even, overlapping strokes after each batch is applied. Use enough pressure to smooth the stipple, but not enough to remove any of the coating (Figure 31). Alternate the direction in which each coat is tipped off, 1st coat vertical, 2nd coat horizontal, 3rd coat vertical, etc. A WEST SYSTEM 800 Roller Cover can be cut into segments to make a tipping brush. Apply second and subsequent coats of epoxy following the same procedures. Make sure the previous coat has cured firmly enough to support the weight of the next coat. To avoid sanding between coats, apply all of the coats in the same day. See Special preparation-Cured epoxy. After the final coat has cured overnight, wash and sand it to prepare for the final finish. There are epoxy-based products specifically designed to penetrate and reinforce rotted wood. These products, basically an epoxy thinned with solvents, do a good job of penetrating wood. But the solvents compromise the strength and moisture barrier properties of the epoxy. WEST SYSTEM epoxy can be thinned with solvents for greater penetration, but not without the same compromise in strength and moisture resistance. Acetone, toluene or MEK have been used to thin WEST SYSTEM epoxy and duplicate these penetrating epoxies with about the same effectiveness. If you chose to thin the epoxy, keep in mind that the strength and moisture protection of the epoxy are lost in proportion to the amount of solvent added. Removing uncured or non-curing epoxy. Uncured epoxy is removed as you would spilled resin. Scrape as much material as you can from the surface using a stiff metal or plastic scraper—warm the epoxy to lower its viscosity. Clean the residue with lacquer thinner, acetone, or alcohol. Follow safety warnings on solvents, and provide adequate ventilation. After recoating wood surfaces with epoxy, it's a good idea to brush the wet epoxy (in the direction of the grain) with a wire brush to improve adhesion. Allow solvents to dry before recoating. Copyright © 2005, West System Inc. All rights reserved. Last Modified on October 31, 2005. WEST SYSTEM and EPOXYWORKS are registered trademarks of West System Inc., Bay City, Michigan, USA.